New York maps from Omnimap, the world's leading international map store with over 275,000 map titles. New York City street maps and atlases. Includes coverage of the 5 boroughs such as Brooklyn, Manhattan, Long Island, etc. Manhattan Transit Maps - Subway, bus, etc. Paper City maps of New York City & its Boroughs. Laminated City maps of New York City & its Boroughs. Street Atlases of New York City & its Boroughs. City maps of other cities in New York State. Includes cities such as Buffalo, Syracuse, etc. Paper City maps of Cities other than NYC. Laminated City maps of Cities other than NYC. Street Atlases of Cities other than NYC. City Wall Maps of Cities other than NYC. Manhattan Subway, Bus, and Transit Street Maps & Atlases. Manhattan Subway, Bus, and Street Maps. John Tauranac. To show the complex relationships between Manhattan's public transportation system and the city it serves, mapmaker and graphic artist/architect John Tauranac has created three new individual maps - a subway map, a bus map, and a street map with places of interest - and he has mounted these back-to-back in three combinations. The maps are geographic and all to the same scale, and they all have the same grid coordinates for easy cross reference. These maps, just revised/printed this month, so all of the latest changes in the Manhattan subway system. The maps have an index of subway stops, shows hours of service at each stop, etc. The street maps show points of interest such as museums, concert halls, colleges, tourist attractios, etc. Each accordian-folded map is 3.3 x 8.3 inches and opens to 26.4 x 8.3 inches. Sturdy paper, lightly laminated. Sample map detail from the Manhattan Subway and Buses map. Sample map detail from the Manhattan Buses and Streets map. $6.95 62-84921MSB Manhattan Subways & Buses map. $6.95 62-84921MSS Manhattan Subways & Street map. $6.95 62-84921MBS Manhattan Buses & Streets map. Manhattan Subway & Bus Wallet Map. John Tauranac. 2011. Just revised to show all of the changes in 2010. Color-coded to show times of service and indoor-outdoor stations, this map is a must for anyone spending time in Manhattan. This accordian-fold map, 10.5 x 3.5 inches when open, folds into a true credit-card sized 2-1/8 x 3-1/2 inches.ISBN 9781878892263. Sample map detail from the Manhattan Subway & Bus wallet map. New York City Subway Map. John Tauranac. 2011. This map covers the subway system for all of New York City. This new edition includes all of the changes instituted by the Metropolitan Transportation Authority in 2010. One one side is a schematic map of the subway system, color-coded at each station to show service hours/days at that station. Outdoor stations are noted and also noted are those stations where you cannot reverse your journey without paying an additional fare. On the reverse is a geographic map showing the subway lines in relation to the city streets. The street map is the main focus here, with the subway lines shown to help you plan how to get from place to place. Once you now the route/line you want to take, flip the map over for all the station details. ISBN 9781878892270. Sample map detail from the Manhattan Subway map. $6.95 62-84921NS 1 sheet, folded. New York City Subway Map. Hagstrom. This New York City Subways Map includes all subway lines, subway stations, transfer stations, a comprehensive train schedule, connecting bus routes, and rush hour services. Travel directions to popular destinations are also included. $5.99 62-8492NYS 1 sheet, folded. New York City Transit Popout pocket map. Popout. NYC Transit PopOut Map shows Manhattan Subway and Manhattan bus routes in a handy pocket-size format for quick reference. Aa additional map of the Long Island Rail Road is also included along with information on the different passes you can buy and useful telephone numbers. This ingenious, self-folding map is small enough to fit in your pocket yet offers extensive coverage of the transit network in an easy-to-use format. Key Manhattan sights are listed offering you advice on the best things to see. Manhattan Block by Block atlas. John Tauranac. 2008. This atlas offers all of the critical information a site-seeker might need - and then some. Along with block-by-block maps, you get individual maps showing streets, places of interest, stores, hotels, restaurants, subways and buses, house numberings, neighborhoods, a street index, and a general index. All in a handy 4 x 9 inch pocket atlas. Sample map detail from the Manhattan Block by Block atlas. New York City Street Maps - Paper Maps. New York City street map. Rand McNally. Classic New York City street map by Rand McNally. New York City street map. Michelin #11. New York City Popout pocket map. Popout. Excellent map or that quick trip to downtown NYC. Fits into any shirt pocket. New York City Borough street maps. Various publishers. $5.99 62-8492BRN Bronx street map. (Hagstrom). $6.99 62-8492MA Manhattan street map. 1:21,000. (Hagstrom). This convenient pocket map is fully street indexed and covers the Borough of Manhattan, NY. It includes building numbers, U.S., State, interstate highways, subway and railroad lines, ZIP codes, Post Office stations, points of interest, parks, golf courses, cemeteries, hospitals, and neighborhoods. ISBN 9780762571178. New York City Street Maps - Waterproof Maps. Manhattan laminated street map. Borch. Very popular street map of Manhattan, the heart of New York City. Clear, easy to read. New York City Borough & Neighborhood Maps. Red Map. Very popular street maps of the boroughs of NYC, Manhattan, and its most popular neighborhoods. Clear, easy to read. $9.95 62-84921BRO Brooklyn & Williamsburg street map. $9.95 62-84921CH Chelsea & the Meatpacking District street map. $9.95 62-84921RM Midtown Manhattan street map. $9.95 62-84921RS Soho & Nolita districts street map. Manhattan Shopping and Tourist maps. MapEasy. MapEasy makes three maps of Manhattan, each focusing on shopping, eating, and entertainment. Recommended for the shopaholics. $7.95 62-8492MU Upper Manhattan MapEasy. $7.95 62-8492ME Midtown Manhattan MapEasy. $7.95 62-8492ML Lower Manhattan MapEasy. $7.95 62-8492MAN Manhattan 'Omni' MapEasy. $7.95 62-8492NC Manhattan 'Cultural' MapEasy. $7.95 62-8492NS Manhattan 'ShopEasy' Map. $6.95 62-8492MEM Manhattan Midtown 'Mini' MapEasy. Laminated Pocket City Maps. Streetwise and VanDam. Originators of the laminated accordion-fold map, STREETWISE™ makes city maps, street maps, road maps, regional maps, and country maps of major destinations around the world, including locations in the United States, Canada, Mexico, Australia, Europe, the United Kingdom and Asia. These travel maps are clear, concise and convenient as well as impeccably accurate due to physical research and frequent updates. The clean modern design is exceptionally stylish, easy to use and filled with information you need. Fully indexed with attractions, sites, metro lines, museums, hotels, parks and more, you'll be able to discover those hidden travel gems you might have otherwise missed. Whether you're going to explore downtown Chicago, walk the streets of Paris, cruise the Greek islands, travel Europe by train or drive the California coast, navigate like a native with the best detailed map on the market. Van Dam Laminated Maps. VanDam. Published by the award-winning graphic artist and cartographer Stephen Van Dam, these laminated pocket maps offer superb detail in a handy pocket-sized format. The maps include shopping information, subway system information, images of major landmark buildings to help you orient yourself in the city, a street index, blow-ups of the main city-center tourist area, and much more. VanDam offers three different formats. Streetsmart is their main line of laminated detailed acordian-folded city maps. Popups are their small, shirt-pocket-sized maps with the flooming-flower-style fold pattern. The Unfolds maps are larger versions of the Popup maps and use the same blooming-flower style of folding. New York City laminated street map. Borch. Very popular street map. Clear, easy to read. New York City Destination Map. National Geographic. In addition to the easy-to-read map on the front, the back includes: - Regional map - Points of interest - Inset maps of Lower Manhattan and Midtown - Subway map - Airport diagrams for LaGuardia, John F. Kennedy, and Neward Liberty airports - Multi-language legend. $7.95 62-84921NN 1 sheet, folded. Northeast Corridor and Manhattan Travel Map. 1:1,000,000 & 1:12,500. ITMB. The coverage of the map of the Northeast Corridor from Boston to Washington extends considerably west of the rail line forming the 'Corridor'. This is an excellent map for day trips or regional travel, particularly for those driving or going by train to Washington. An inset map of central Washington is included, covering the Mall area. New York's Manhattan is a magnet for visitors and locals alike. This map stretches from the northern edge of Central Park to The Battery and shows subway lines and railways plus the stations. All ferry routes are included. The core of the subway system is shown on the back cover, with an inset map of the entire system being shown on the map itself. Manhattan 'Get-Around' Street Atlas. Rand McNally. The Get Around™ Manhattan Street Atlas & Guide features detailed street-level city maps as well as regional maps for a clear big picture all in one lightweight, spiral-bound book. This handy atlas fits easily in any glove box, briefcase or backpack and makes a great back-up book for those last minute plans or when you're no longer headed in the right direction. New York City 5-Borough Street Atlas. Hagstrom. The Large Print New York City, NY, 5-Borough Atlas is a full-color street detail atlas of Manhattan, Brooklyn, Bronx, Queens & Staten Island, including: Airport Maps, Detailed Points of Interest, Instant Address Finder, Lower Manhattan Inset, Postal Zones, Regional Maps, Theater District Inset, Toll Information, Transportation & Subway Information; and features: Block Numbers, Beaches, Colleges & Universities, Ferries, Golf Courses, Hospitals, Marinas, Parks & Rec Areas, Schools & ZIP Codes. Maps of Cities of New York other than NYC. Paper Maps of Cities of New York other than NYC. City maps of other New York cities - paper maps. Various publishers. $5.95 62-8492A Albany City and County Street Map. 1:28,000 & 1:86,000. (Jimapco). $6.99 62-8492AL Albany - Troy Street Map. (Rand McNally). $7.95 62-8492CAS (Albany) Capital District Street Map. (Jimapco). $5.95 62-8492GCA (Albany)Greater Capital Region Street Map. (Jimapco). $5.95 62-8492BI Binghamton & Broome County Map. 1:36,000 & 1:96,000. (Jimapco). $6.99 62-8492B Buffalo - Rochester City Map. (Rand McNally). $5.99 62-8492BUF Buffalo - Niagara Falls City Map. (Hagstrom). Out of print with limited inventory left. $4.95 62-8492CHA Chautauqua County Street Map. (Jimapco). $5.95 62-8492DEL Delaware County Street Map. (Jimapco). $5.95 62-8493FI Finger Lakes. (Map Source). $5.99 62-8492WA (NY) Fulton, Oswego, & Watertown street map. Universal. $5.95 62-8492GRE Greene County Street Map. (Jimapco). $4.95 62-8492IT Ithaca & Tompkins County Map. Lots of inset city/town maps. 1:36,000. (Jimapco). $6.99 62-8492LO Long Island street map. (Rand McNally). $7.99 62-8492LON Long Island street map. (Hagstrom). $4.95 62-8492NEB Newburgh City Map. Also covers Beacon, West Point, Cornwall, Highland Falls. 1:24,000. (Jimapco). $4.95 62-8492OSW Oswego County Map. (Jimapco). $6.99 62-8492R Rochester Street Map. (Rand McNally). $5.95 62-8492S Saratoga City & County Map. Also covers Saratoga Springs, Ballston Spa, Wilton, Malta, Corinth, Round Lake, Galway, Charlton, Hadley. 1:31,680 & 1:96,000. (Jimapco). $4.95 62-8492SCH Schenectady City & County Map. 1:28,000. (Jimapco). $6.99 62-8492SY Syracuse City Map. (Jimapco). 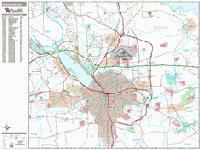 $4.95 62-8492SYR Syracuse & Onondaga County Map. 1:36,000. (Jimapco). $4.95 62-8492TIO Tioga County Map. (Jimapco). $4.95 62-8492TR Troy & Rensselaer County Map. 1:32,650. (Jimapco). $5.95 62-8492ULS Ulster County Street Map. (Jimapco). $4.95 62-8492WAR Warren County Street Map. (Jimapco). $6.95 62-8492WAT Watertown and Fort Drum Street Map. 1:36,800 & 1:184,000. (Jimapco). Waterproof Maps of Cities of New York other than NYC. City maps of other New York cities - Laminated. Various publishers. $7.95 62-84921IT Ithaca street map. Laminated. (Jimapco). $6.95 62-84921SA Saratoga Springs street map. Laminated. (Jimapco). $0.00 62-84921SY Syracuse street Map. Laminated. (American Map). Out of print with limited inventory left. $7.95 62-84921UT Utica - Rome Quickmap street Map. Laminated. (Jimapco). Street Atlases for New York's Cities. Various publishers. These are the most detailed maps for these cities, with each atlas also including a detailed street and place-name index. These atlases are typically approx 8 x 11 or 9 x 12 inches in size, usually spiral-bound (Rand McNally) or paperback (Kappa). $29.95 62-84922CAP (Albany) Capital Region street atlas. (Jimapco). Spiral-bound book containing 224 maps detailing streets and roads, points of interest, zip codes, municipalities, recreation areas and more for the following counties in New York State: Albany, Columbia, Fulton, Greene, Montgomery, Rensselaer, Saratoga, Schenectady, Schoharie, Warren, and Washington. Includes full street index, communites list and points of interest. 10?x12?. $14.95 62-84922AL (Albany/Schenectady/Troy) Capital Region Streetfinder™ atlas. (Rand McNally). Spiral-bound book covering more than 220 communities, including: Altamont, Amsterdam, Fort Edward, Glens Falls, Greenwich, Mechanicville, Ravena, Saratoga Springs, Schuylerville, Scotia, Stillwater, and Voorheesville. $16.95 62-84922BU Buffalo & Niagara Falls street atlas. (Hagstrom). The Buffalo and Niagara Falls, NY Atlas is a full-color street atlas, including: Amherst, Cheektowaga, Depew, Hamburg, Lackawanna, Lancaster, Lockport, North Tonawanda, Orchard Park, and Tonawanda; and features: Block Numbers, Colleges and Universities, Golf Courses, Parks and Rec Areas, Places of Interest, and ZIP Codes. Softcover, 8½ x 11 inches. $17.95 62-8492BS Buffalo & Niagara Falls Streetfinder™ street atlas. (Rand McNally). Spiral-bound. $14.95 62-84922HU Hudson Valley Streetfinder™ street atlas. (Rand McNally). Spiral-bound. $19.99 62-84922NA Nassau County street atlas. (Kappa). $16.95 62-84922ORA Orange County street atlas. (Jimapco). Spiral-bound book of maps showing all streets and roads in Orange County, New York. Also includes full index, lakes, streams, wetlands, school district boundaries, fire district boundaries, parks golf courses, and other recreational features and attractions. $16.95 62-84922SY Syracuse, Utica, and Rome street atlas. (Rand McNally). Spiral-bound. New York Cities Wall Maps. We offer wall maps for Albany, Binghamton, Brentwood, Buffalo, Cheektowaga, Greece, Hempstead, Irondequoit, Levittown, Mount Vernon, New Rochelle, New York City, New York 5 Boroughs, Niagara Falls, Rochester, Schenectady, Syracuse, Troy, Utica, White Plains, and Yonkers. . Sample detail from the Syracuse wall map. New York County and State Wall Maps.